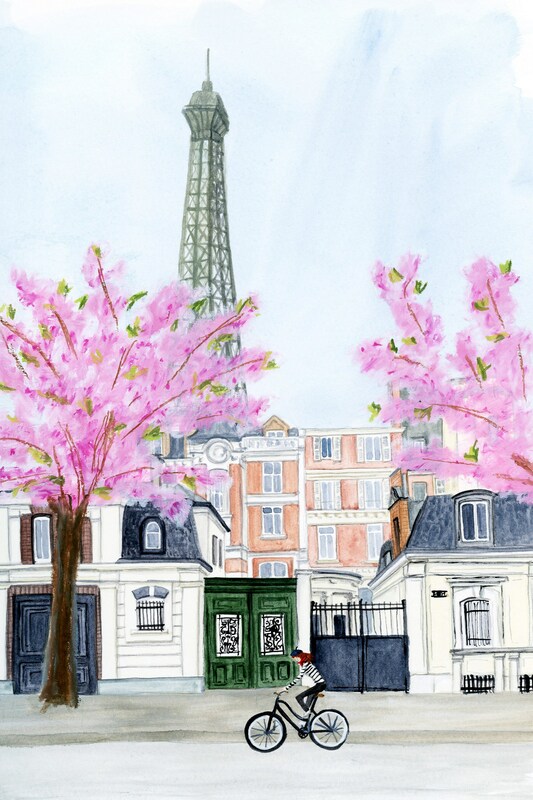 This Paris print features a romantic view of flower-lined streets in Paris, France. With a view of the Eiffel Tower in the distance, this travel poster is the perfect reminder of a trip to the city of lights, or just an antidote to wanderlust for a place you haven't visited yet! 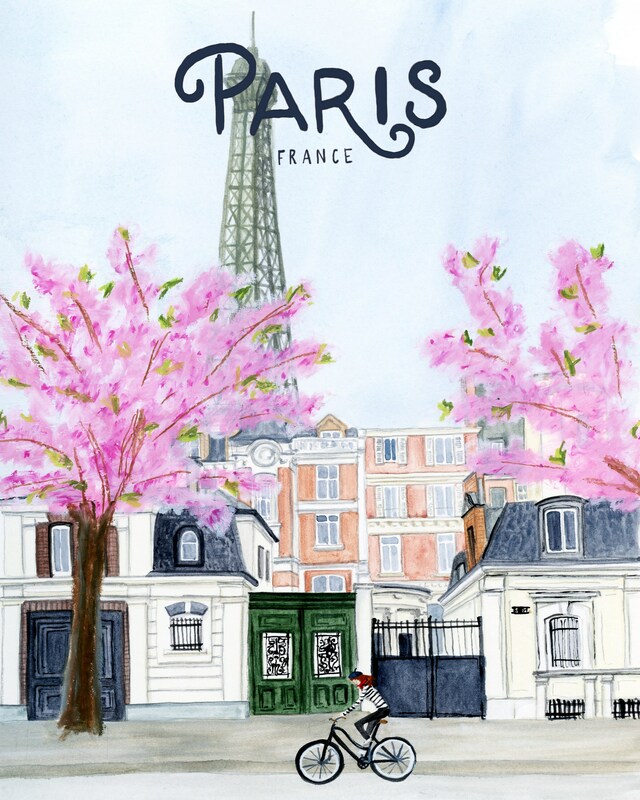 If you're searching for a Paris poster or Eiffel Tower print, this art print of an original watercolor travel illustration is available in three sizes and is printed in-house using pigment inks on acid-free paper for longevity and accurate reproduction of the original watercolor art.